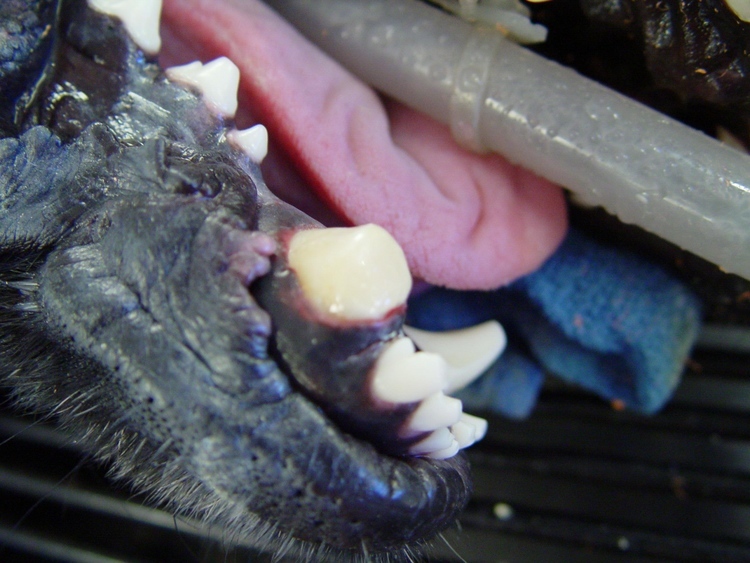 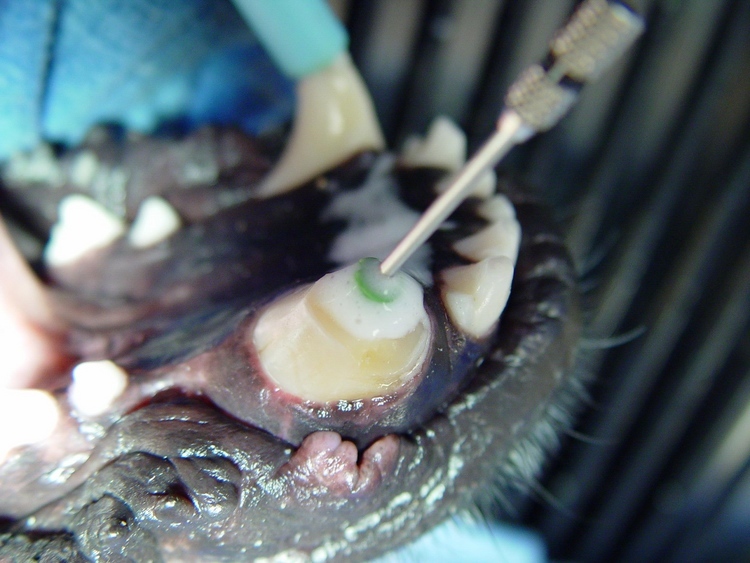 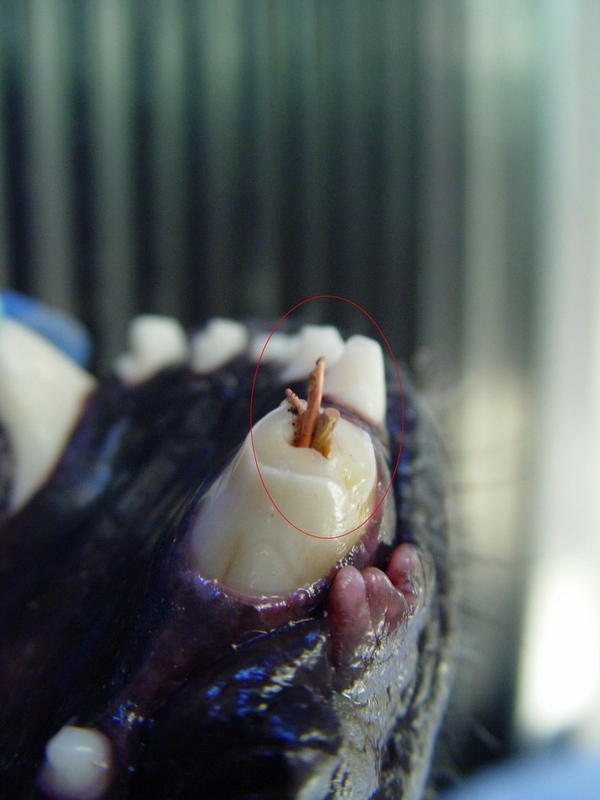 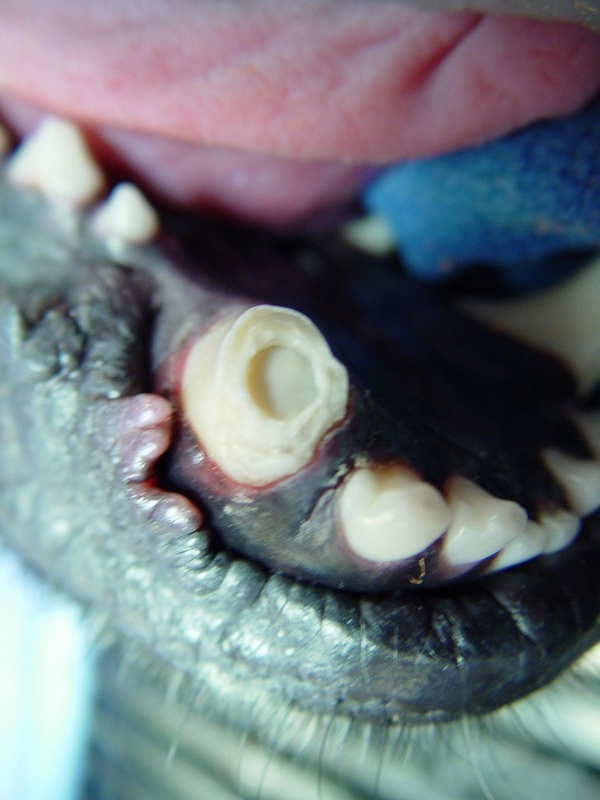 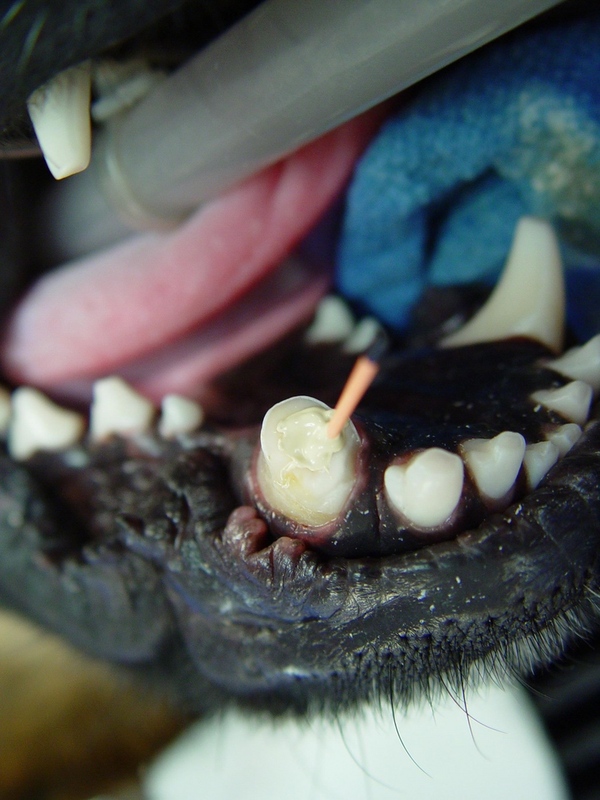 F ractured teeth, enamel hypoplasia, wearing defects are conditions associated with oral trauma in dogs. 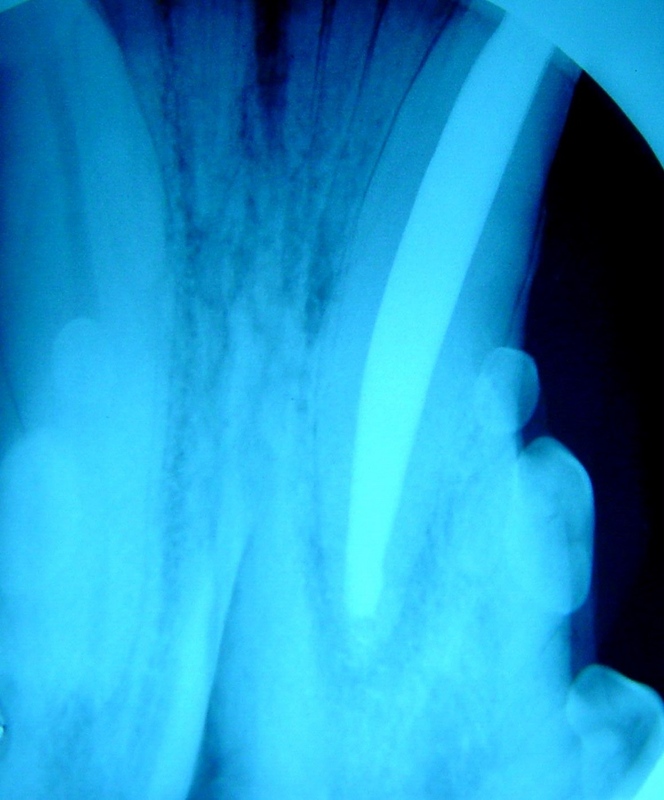 Some tooth injuries need only a simple restoration. 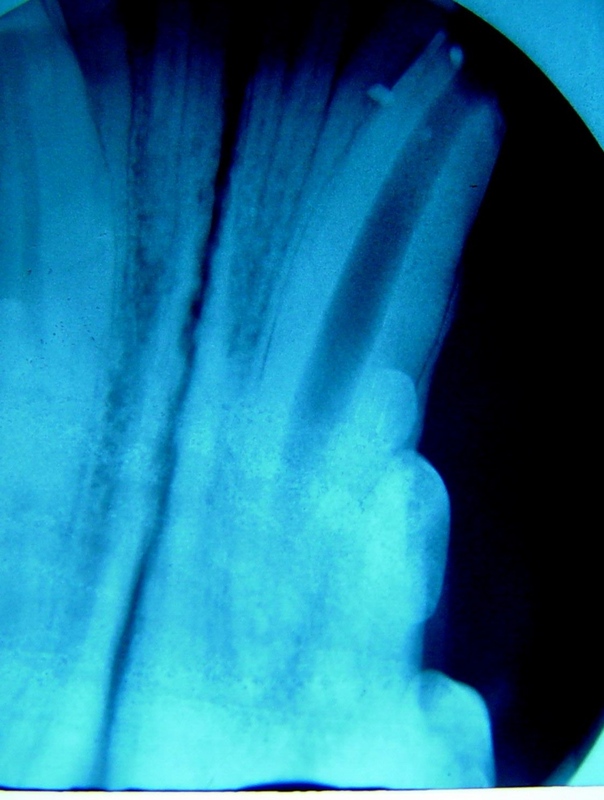 However, many injured teeth require more advanced dental techniques. 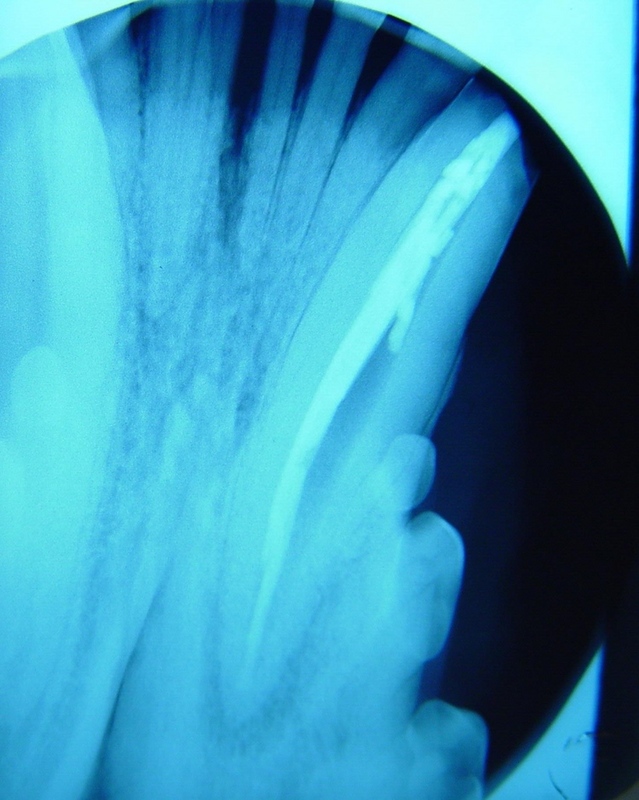 Generalized wearing defects and calculus accumulation. 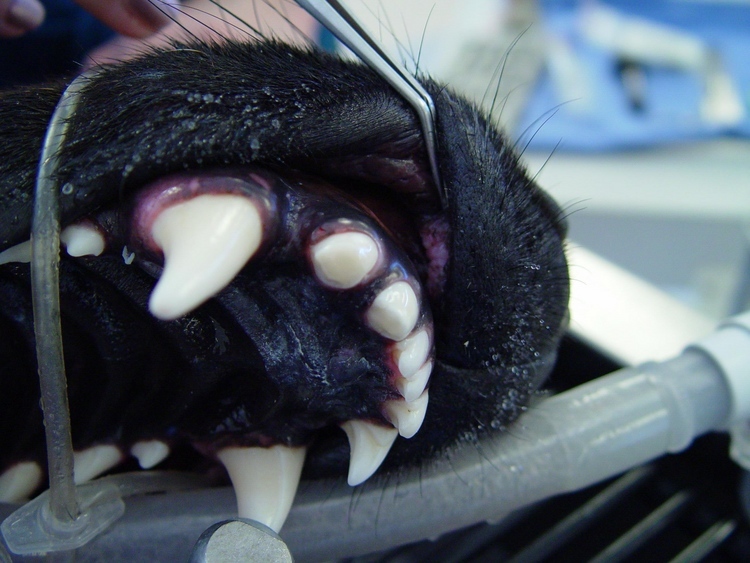 Mandibular canine ( # 404) had chronic wearing with a possible root canal. 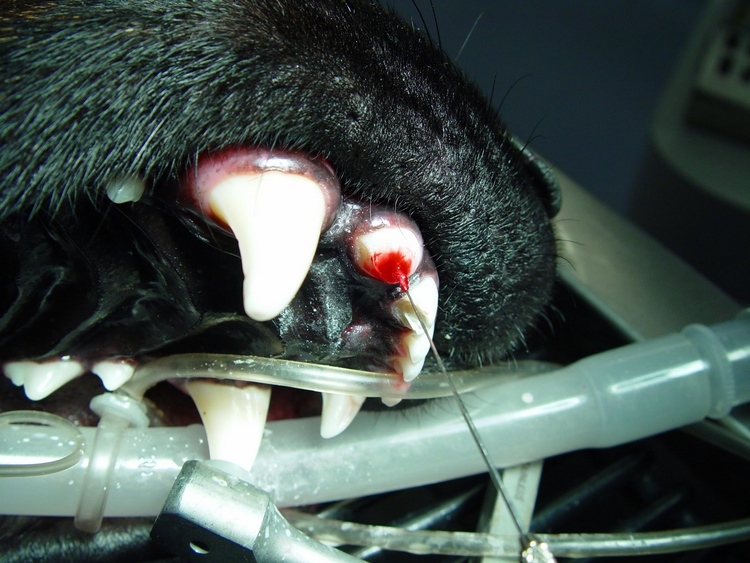 The owner did confirm # 404 had root canal therapy ( RCT) two years ago at another veterinary clinic. 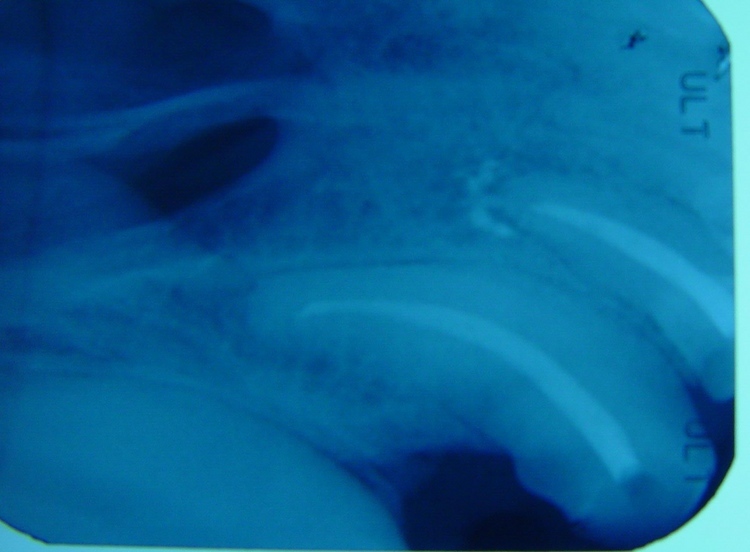 Failed RCT # 404 with obvious pulpal inflammation and necrosis leading to apical changes ( bone loss.) 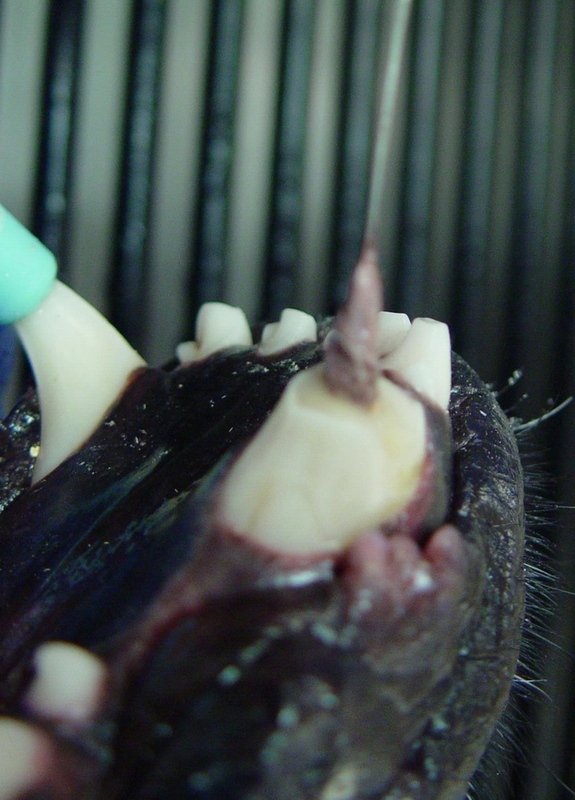 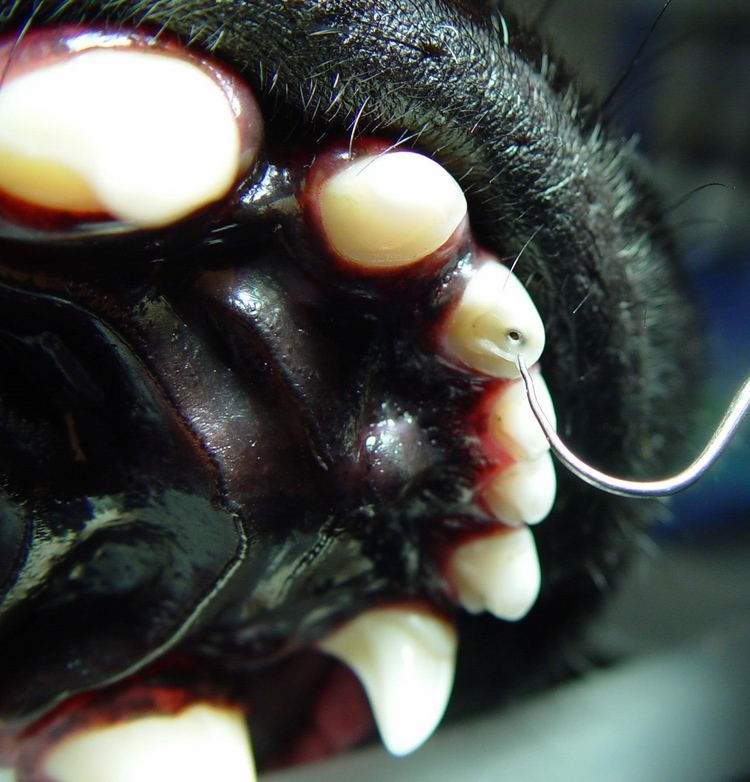 Retreatment should include removal of necrotic tissue and gutta percha (GP), disinfection of the canal, and re-obturation.